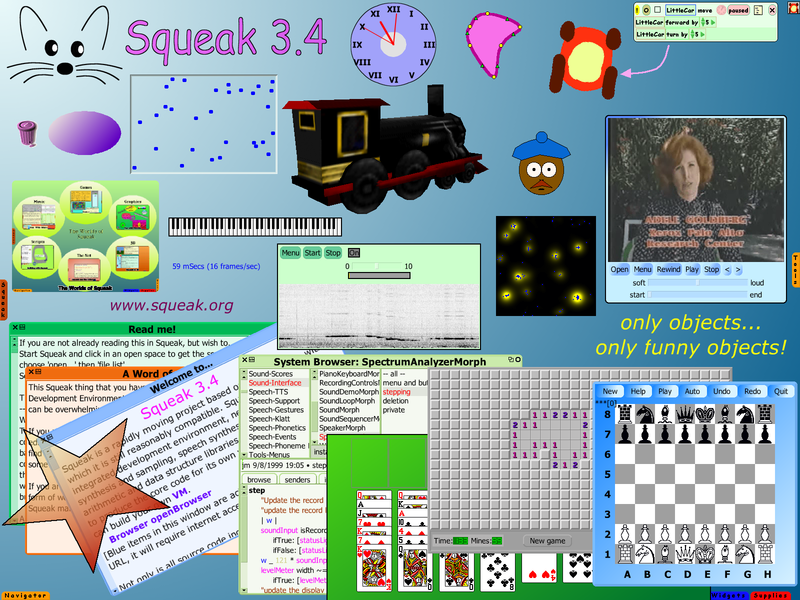 If you are curious as to what exactly Squeak looks like, here are some links to screenshots of various flavours of Squeak. 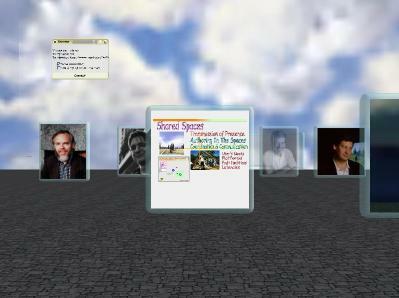 Click on the thumbnail images to view the full-size screenshots. Please, when you post a wonderful screen shot here for all to see make sure the link works. Also, if you can provide a link to a page which decribes for the viewer how to reproduce what you have done that would be very useful. 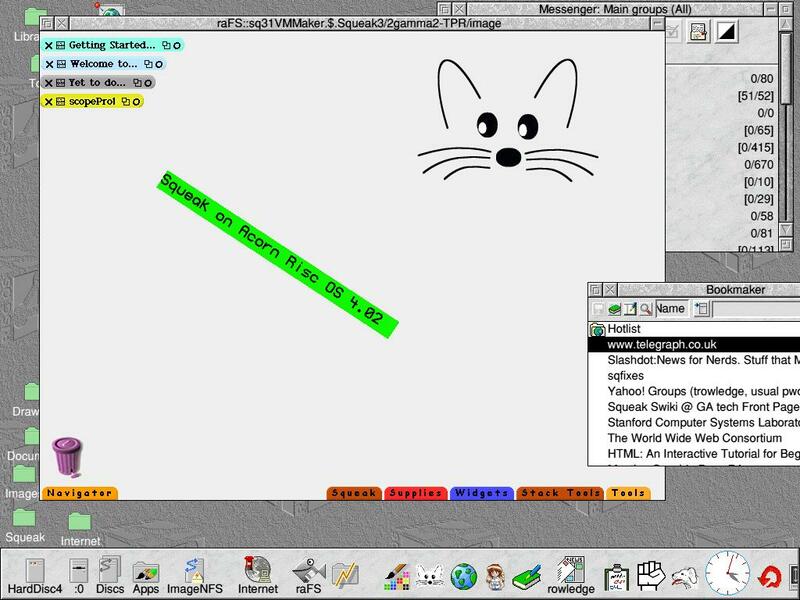 An internet appliance UI written in Squeak. 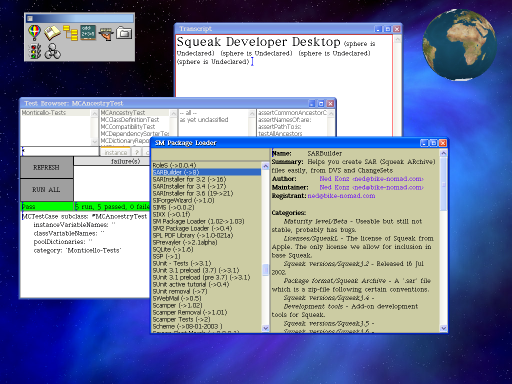 SqueakNews: An interactive CD-ROM e-zine about Squeak, and written in Squeak! 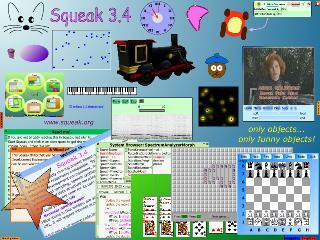 Monthly subscriptions available at http://squeaknews.com. 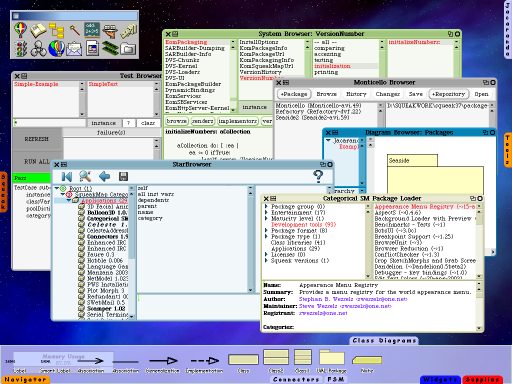 Siren: A general-purpose music description and composition system.